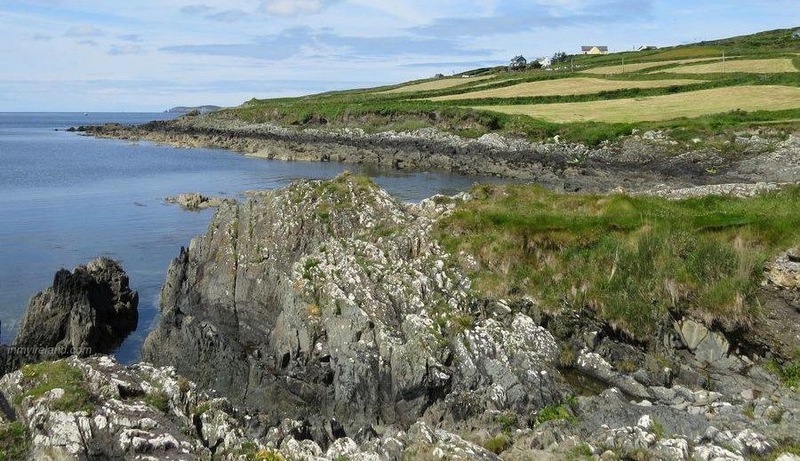 When we first came to Ireland we had a look around the lower price end of the property market here, which after the recession, saw prices on some properties drop by up to 75%. A buyers market indeed. And in many parts of the country there are amazing bargains to be snapped up still, so this is definitely something to keep in mind if you’re planning on settling here. With that said though, cash is king right now and the banks are VERY sticky about giving mortgages. If you are in a position to buy, or looking to invest in property here, there are loads of properties advertised for sale online and many more not, so it’s worth your time visiting property agents, or auctioneers as they are called here, offices and even asking around locally when shopping. Most auctioneers we found are very helpful and informative, until it came to viewing the properties we were enquiring about… Things got interesting there. First of all, getting said auctioneer to leave their cozy office and go show you the property in question did not happen for us. What we did get was some delightfully vague directions along the lines of “Drive about a mile down that road, turn left at the school, continue down that road, second left…” We never did find that school. An hour, grand tour of the region and a stop at a dairy farm to ask the alarmed looking farmer for directions back to where we started later, we gave up and went searching for our next adventure… ehh, property to view. Bottom line: Unless you have a good up-to-date GPS (ours swore we were in Spain at the time), a 4×4 and a burning desire to explore the region, talk the auctioneer into taking you to the property. If/when you finally locate your property of interest, be prepared that it may not not resemble the 1-year old photos you saw when window shopping. This is often the case for properties on the lower price end of the market. Also be prepared that the auctioneer may never have set foot on or near the property in question and will be as surprised as you are about the state of the place. We went back and asked the auctioneer about the tree growing in the lounge of one house and she responded by telling me that same property is currently on the market for about a ¼ of it’s “one year ago” value… O.K. There is still a tree growing in the lounge… Another house we looked at haven’t been entered by a human since the previous owner (diseased) left it 10 years ago. The current owner, after using a crow bar to get the door open, had a wonderful time exploring the inside of the house and it’s contents with us. The previous owner’s breakfast dishes and condiments were still on the kitchen table… I found that both a bit sad and rather creepy. Bottom line #2: Be open-minded. With that said, some auctioneers are wonderfully honest about their properties. 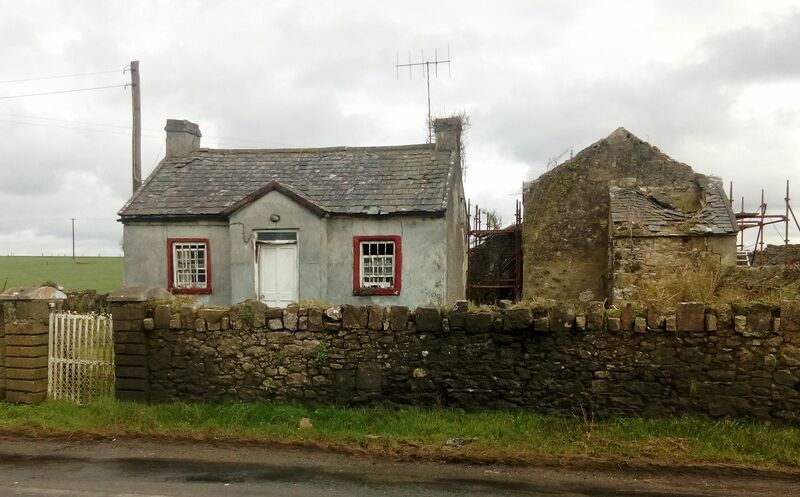 I remember a property description for a very derelict house in Co Clare, the description: “Classic renovation project comprising derelict cottage, outbuilding on circa 3 acres partly hilly land. House has been empty for decades, and is now a roofless house shaped pile of stones with a hawthorn tree growing inside, and full of brambles. Situated in a quiet, rural, somewhat out of the way location with river running near the house. Access from the public road by drivable track . Numerous mature trees on site. Small scale quarry on site. Major project for the adventurous. Could be wonderful.” Got to love that optimism! Stopping for directions to properties can be half the fun of property shopping here. In North Cork I got invited in for a cup of tea by a lady who’s house we stopped by to ask for help, after failing to locate a cottage we were interested in. Turned out we drove past it 3 times, not recognising it. (See the bit above about 1-year old pics). On more than one occasion our stopping to ask for directions resulted in “Oh, such-and-such’s house is for sale! How much do they want for it?” And a lengthy discussion about the property and poor such-and-such while we patiently waited for directions. My personal favourite was an old man walking his dog who gave me the most delightful and delighted grin, telling me “Yer lost! Yer lost” I think we made his day… I still smile when I remember that. Bottom line #3: Be patient. Now, an important and another very interesting part of buying property here especially is: the price. Asking prices are one thing (and often wishful thinking on the vendor’s part). Offering prices that may be considered and accepted, are a completely different thing. We got advised (by auctioneers) to offer €90,000 on a house that was at the time listed at €265,000 and €25,000 for a house that was listed at nearly €80,000. Talk to the auctioneers about your budget and don’t be shy to under offer if it looks feasible. Obviously this kind of under offering is not going to work everywhere and on any type of property, but there often is wiggle room and sometimes quite a lot of it. Especially on properties in less desirable areas (outside Dublin for starters) and properties that have been vacant and on the market for a year or so. We ended up renting a property for the time being, but are still watching the market and watching prices rise and fall in regions, so depending on where you’d like to buy, it will be well worth it to take some time and do your homework before committing.